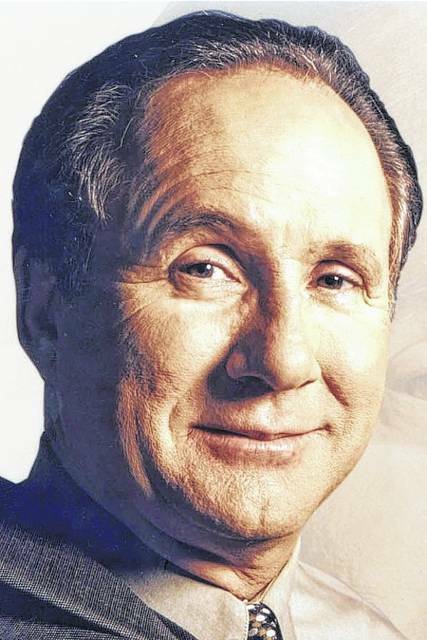 Michael Reagan is the son of President Ronald Reagan, a political consultant, and the author of “The New Reagan Revolution” (St. Martin’s Press). Send comments to Reagan@caglecartoons.com. Follow @reaganworld on Twitter. His column does not necessarily reflect the opinion of the The Lima News editorial board or AIM Media, owner of The Lima News. You wonder why Fox News is No. 1 in cable? It’s because CNN, MSNBC, NBC and the rest are so relentlessly negative about Donald Trump they force people to watch Fox to find out the truth about the growing economy or the historically low unemployment rates for blacks. Take this week’s Singapore Summit. No matter what President Trump accomplished in Singapore in his face-to-face meeting with North Korea’s Kim Jong Un, for Joe, Mika and their fellow foreign policy experts in the media, it was not enough. Or it was too much. Or Trump was naive or stupid. Or he gave away too much. Or he didn’t ask “Little Rocket Man” about his gulags. Or he was just trying to win a Nobel Peace Prize. My favorite complaint about the Singapore Summit from liberals was that by merely meeting with Kim Jong Un, President Trump gave a thug the legitimacy he didn’t deserve. As if American presidents haven’t met with thugs like Kim Jong Un since the beginning of time. Just two years ago Barrack Obama and a delegation of a thousand staffers, insiders and reporters flew into Havana to slobber all over Raul Castro and the ghost of his brother Fidel. The in-bed-with-Obama embedded media loved Obama’s move. They called it historic. They called it a Berlin Wall moment — a step toward the liberation of the Cuban people. The mainstream media never complained that Obama didn’t ask Comrade Raul to be nicer to the impoverished people living under his communist dictatorship or release the gay Cubans held in his prisons. Not a peep from the MSM. Not even crickets. Trump, on the other hand, can’t win with the mainstream media. One month they’re saying his tough rhetoric about North Korea is going to start World War III. A month or two later they’re complaining his Singapore statement wasn’t strong enough and he was too soft on Kim Jong Un. It reminds me of the way the liberal media treated my father back in the 1980s when he was calling the USSR “The Evil Empire” and trying to meet with Soviet leaders about nuclear arms control. The mainstream media and the foreign policy establishment were constantly pushing my dad to hurry-up and meet with the USSR’s leaders, who kept dying on him until Mikhail Gorbachev came along. The media of the day wanted my dad to sign a deal in Reykjave k with Gorbachev, ASAP. They wanted him to sign away Star Wars, take our missiles out of Europe — give up whatever it took to make the Soviets happy and avert Armageddon. My father stuck to his guns. He ignored the impatient liberal media, the foreign policy “experts” and some of his own staffers and within a few years the Berlin Wall was down and the USSR was history. My father learned that negotiating successfully one-on-one with an enemy like Gorbachev is a process that takes time. The two leaders didn’t accomplish or sign anything at those meetings, but ultimately my father and Gorbachev developed a liking for each other. But that relationship didn’t stop my father from telling Gorbachev at their first meeting that either you come to the table and negotiate in good faith or we’ll jack up our military spending and bankrupt you, which we eventually did in the long run. Trump’s message to Kim Jong Un was similar, only blunter and much tougher - either you’ll come to the table or you’ll cease to exist. Ronald Reagan and Donald Trump both used the negotiating tools they had in their hip pockets. In the long run Trump may or may not be as successful as my father. We’re still in the first days of a long process, but the biased media are impatient and irrational. They want everything settled yesterday and the Korean Peninsula denuked tomorrow. But even if it turns out the way they want, they’ll figure out some way to give the credit to Nancy Pelosi, Barrack Obama or Dennis Rodman long before they give it to President Trump.